CC Madhya 19.139 — “The length and breadth of the living entity is described as one ten-thousandth part of the tip of a hair. This is the original subtle nature of the living entity. God would prefer heaven on earth working through and with all humanity. We have the essential goals of improving our eternal relationship with God and minimizing hellishness worldwide. We want saintly goals and saintly means to achieving those goals. Hare Krsna centers in every neighborhood worldwide will help to minimize starvation and crime while improving the general conscience and consciousness of the people in general. Those who have some Ksatriya or Vaisya inclination may like to target any cause that might exist under the general categories of human needs, animal needs, and environmental needs. 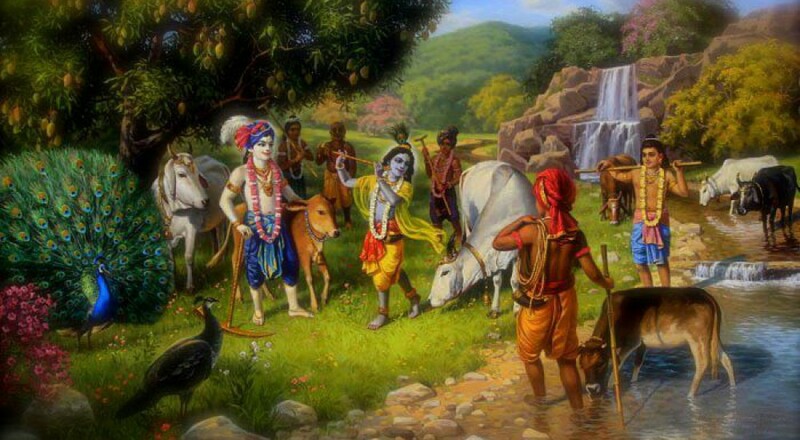 Otherwise, the regular program of Krsna consciousness will always help to gain the favor of the Supreme God. There should be no starvation or malnutrition for any human being! We need to reach into every neighborhood of the world with God’s help. We are doing it for God. God has given us so much advice. God would prefer heaven on earth working through and with all humanity. Let’s review alternative and preventive health methods and practices. God would prefer heaven on earth working through and with all humanity. Let us minimize abuse to all creatures and animals worldwide. God would prefer heaven on earth working through and with all humanity. Protect the Environment for God. Minimize Environmental Abuse Worldwide. God would prefer heaven on earth working through and with all humanity. Science and technology should be managed in accordance with the laws of God and never utilized in any way that is considered demoniac. Science and technology should never contribute to human rights violations, cruelty to the creatures of the earth, nor crimes committed against any aspect of the environment. God would prefer heaven on earth working through and with all humanity. The New Talavana Hare Krsna Farming Community outside of Carriere, MS, USA has become celebrated for treating the cows with love and respect. New Talavana is also well known as a center for Krsna conscious Bhakti Yoga and Vedic study. Please visit this web page for more resource information. God has given us advice to address the needs of children worldwide. Let all humanity work cooperatively with God to minimize hellishness for every single child worldwide.